Ice-O-Matic Training | Excel Construction Services, Inc. Here at Excel Construction, one of our core values is innovation. We pursue industry and technological advances in order to adapt and deliver value beyond building. In the same manner, we stay current on the latest and greatest services that are required of our certified service technicians. Most recently, we provided our team with the most current Ice-O-Matic training. Ice-O-Matic Ice Makers focuses on one thing: manufacturing simple, high-quality ice machines that deliver pure, clean ice. Every ice machine or bin designed and built by Ice-O-Matic utilizes the most current technology and high-quality materials but excludes the “bells and whistles” other commercial ice machines often incorporate which complicate the equipment, add to the cost, and increase the number of components that can malfunction. Ice-O-Matic does away with the complicated and remains true to their goal of providing simple, easy-to-operate, and efficient ice-making equipment. 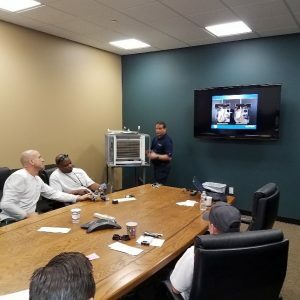 The training class provided by Excel covered the installation, operation and service/diagnosis of the new Cube Series ice machines. 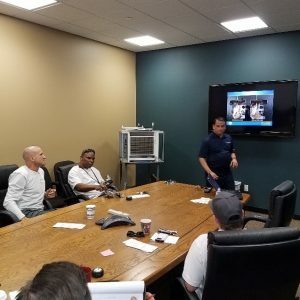 Attendees learned how to apply the appropriate service and repair procedures to the refrigeration circuit, water and mechanical systems to ensure the systems reliability and energy efficiency.